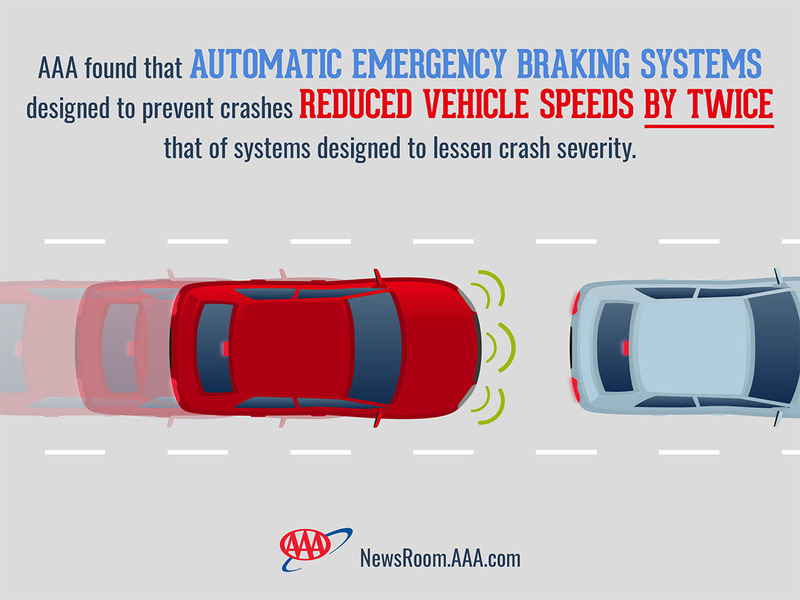 Knoxville, TN – Advances in automatic emergency braking technology provides motorists with a false sense of security. 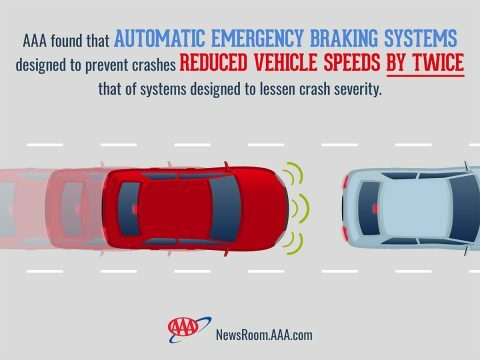 New test results from AAA reveal that automatic emergency braking systems – the safety technology that will soon be standard equipment on 99 percent of vehicles, are not created equal. Automatic emergency braking systems are designed to help drivers avoid rear-end and vehicles versus pedestrian collisions. 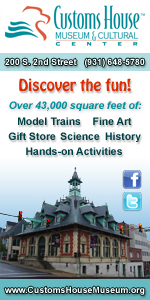 AAA urges motorists to educate themselves on the limitations of these systems.